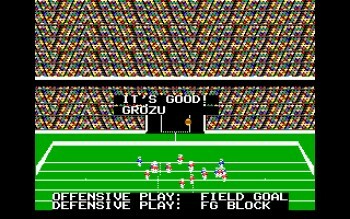 Electronic Arts has requested the dismissal of a lawsuit filed by a programmer who helped create the original John Madden Football in 1988 and is now seeking 20 years worth of royalties on the Madden NFL franchise. The Madden NFL franchise has been around a long time. More than 20 years, in fact, which makes it a little odd that Robin Antonick, who co-designed and programmed the game back in the early days of EA, seemed to forget about the whole thing until a couple of months ago. His story is that he only recently discovered that the Madden NFL franchise is still based on the work he did on the PC and Commodore 64 editions of the original John Madden Football and that, he figures, entitles him to a whole lot of back pay. Naturally, EA disagrees. EA founder and Madden co-creator Trip Hawkins said in April that Antonick's contribution to the game wasn't really all that significant, claiming that he was just one person among many who worked on the game and that he wasn't actually an EA employee at all but rather a contractor who worked from his home. Furthermore, when it came time to create a 16-bit version of the game, Antonick wasn't hired on because his programming kung-fu was too weak. Oh snap! Anyway, EA asked a California court to dismiss the claim yesterday, saying that the second iteration of the game [presumably following John Madden Football 2, the last one Antonick worked on] was rebuilt from the ground up and even providing Antonick with the source code from that game to prove it. Furthermore, the company says the very nature of Antonick's claim renders it invalid. "The Complaint itself describes all four elements as 'methods,' 'processes' and 'algorithms.' Since copyright protects only expression, not ideas, methods of operation, or algorithms of a computer program, the Complaint's own allegations defeat the contract claim," EA said in a statement. "Antonick's contract with EA provides for royalty payments only for derivative works under copyright law, not simply for any work that traces some idea back to, or shares a name with, the versions Antonick worked on." If Antonick is to be successful in his effort, he will have to prove that his work is an "original expression" and not simply "ideas, methods of operation, or algorithms." The incentive for him to do so is mighty powerful; his 1986 contract guarantees him 1.5 percent of the profits earned from any "derivative works" arising from the Madden game, which could add up to as much as $60 million.